18 packs of delicious goodness, enjoy three flavours; Apricot & Almond, Cranberry, Tropical muesli. Apricot & Almond: Oats, Sultanas, (Sultanas vegetable oil), Wheat Bran (Wheat Bran Wheat Starch emulsifier 471), Coconut, Sunflower Kernel, Paw Paw, Almonds (2%), Apricots (2%), Preservative (220), Some ingredients contain Sulphur Dioxide (220). 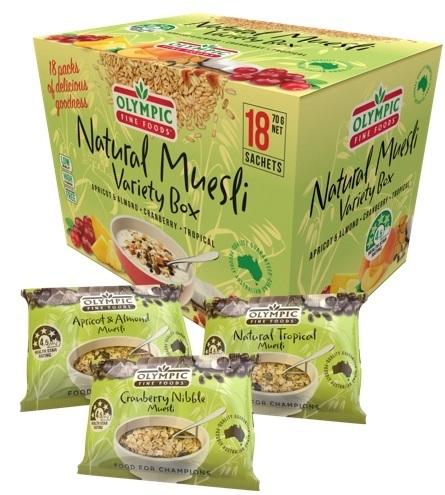 Love our Natural Muesli Variety Box product?